The whole world was agog over the unwholesome display of wickedness, unprofessionalism and crass ignorance by the Nigerian military. For record purposes, on the 18th of May 2017, IPOB women wing embarked on a conference at Abiriba in Ohafia Local Government Area of Abia state Biafra Land. The aim of the conference was to discuss how the Biafran women can potently contribute their quota in the Biafra restoration mission. On 19th of May, the Nigerian military in their usual way swooped into the venue of the conference, assaulted and molested these women. Their cloths were torn into pieces. From the pictorial and video evidences, the women were left unclad. Wailing uncontrollably why such a treatment should be given to them in the land of their ancestors. Without prevaricating words, Nigerian government through her irresponsible Army has committed an abomination. It is a total taboo to humiliate any woman in this manner. This is tantamount to rubbing the dignity of women on the mud. This is totally unacceptable, it is only a barbaric society that incubate hostility against the women. What I seems not to understand is the crime these women committed that will warrant such humiliation from the Nigerian Army. 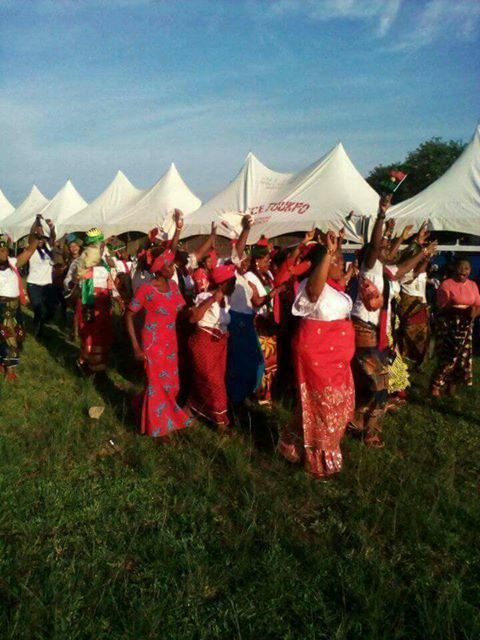 These women weren't wielding any arm or in possession of any kind of chemical weapon but were merely having Biafra flag and head scarfs. It is rather pathetic that Nigerian Army will as a mark of incompetence humiliate women who were ordinarily exercising their God- given right. In my article of 1st March 2017, I questioned, WILL THE ARMY, POLICE AND DSS RESTRAIN FROM THE BUTCHERING OF BIAFRANS NOW IPOB HAS BEEN DECLARED LEGAL BY THE COURT? Formerly, Nigerian security forces were intimidating, assaulting, maiming and killing innocent Biafrans under the premise of IPOB being an unlawful society. But on 1st of March 2017, the legal puppet called Justice Binta of the Nigerian federal high court Abuja, declared in her kangaroo court to the chagrin of the entire world that IPOB cannot be called an illegal society because they have their presence in more than one hundred and twenty countries of the world duely registered and their activities doesn't constitute any form of threat. This assertion however, indicated that what we are asking for is constitutional. Repugnantly, this is a clear contempt for court injunction and rule of law if Nigerian Army is still trapped in this web of brutal rascality. The court has already declared IPOB legal and therefore what reason does Nigerian Army have that will substantiate why they humiliated IPOB women wing in their conference ground. Oh yes, Nigerian Army is well known when it comes to human rights abuse and denying of every atrocity they committed against the citizens. There are numerous empirical evidences both pictorial and video that points to the inimical abuses that is being perpetuated by this caliphate Army, yet they have always come out to deny them, even when these evidences are so glaring. We haven't forgotten how they invaded the church at Nkpor Anambra state where IPOB were passing the night prior to the 30th May 2016 when the Heroes Day celebration was held, killing, maiming, injuring and disfiguring dozens for life and went ahead to issue press statement denying that act of barbarism. The international human rights group, Amnesty international(AI) released a well researched and authentic report of that gory event, indicting the Nigerian military of their brutality against Biafrans with forensic evidences. 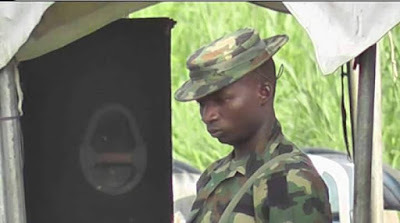 The military also in their usual way did not only deny the report but went ahead to accuse AI of spreading lies, stage- managing their evidences and testimonies from victims and that the allegations by AI was unfathomable. So if the Nigerian military forces can deny reports from this trusted and hallowed international human rights "watch dog" AI, let it not suprise you if they also deny molesting IPOB women on the conference ground. One fact the Nigerian Army must embrace is that, this is a democratical dispensation and not a government that is controlled by illiterate men on khaki. They are not above the law. Every court injunction must be strictly adhered to. They must as a matter of avoiding further catastrophe desist from the harassment of Biafrans who are diligently exercising their constitutional rights. Biafrans will not tolerate the molestation of their mothers again by the Nigerian Army. Any further ominous action by the Nigerian Army against our mothers will be responded with fierce resistance. Our mothers have the right to declare their identity to the world. Moreover, this is another litmus test to the international community. Nigeria should not be spared in this act of barbarism. United Nations and African Union must as a matter of commitment in promoting and protecting the seven core freedom of UDHR raise their sledgehammer on Nigeria. It will invariably curtail the brutal excesses of the Nigerian government and strongly deter further escalation. It will also send a strong signal to other African nations that have total disregard for human rights that African political space is no longer cosy for the incubation of tyranny. On a second note, those uncultured and unprofessional military officers who were involved in that callous operation should be arrested and tried in a law court and if found culpable, should be dismissed and imprisoned. Men with such mental barbarity should be in the psychiatric hospital hibernating. They should be quarantined because they constitute a threat to the society. Every right thinking individual should stand strong and condemn this amorous action of Nigerian Army against the Indigenous People Of Biafra. It is so unreasonable that in this modern age, that such abuses are allowed to fester. Biafrans have the right to exist like every other human being. They have the right to decide their future. However, Nigerian Army by now should embrace the simple arithmetic that no amount of brutality and humiliation will deter Biafrans from restoring their nation. Chukwuokike Abiama has sanctioned it. Noo army on earth can stop the Spirit of Biafranism.